Long gone are the days of tight basketball shorts, the kind worn by Larry Bird and Magic Johnson many decades ago. Today, there is a greater focus on both comfort and style, and basketball shorts hang loosely around the legs of players. Looking and feeling good can have a major impact on your ability to perform at your best on the court, and this guide to buying the best basketball shorts will help men, women and youth basketball players to do just that. Why are basketball shorts so expensive? Jordan Men’s Nike Air Bright Lights Basketball Shorts Review: These are the best basketball shorts for men on the market. Nike is well known for being the best sporting apparel brand on the planet, and their range of Jordan gear is some of their highest quality stuff. These shorts are made with Dri-FIT Fabric, which, as the name suggests, keeps them dry. It wicks away moisture, meaning all the sweat, which inevitably comes with playing serious hoops, won’t affect your game. Getting hot and uncomfortable can have a major impact on your game, but this won’t be an issue with these shorts. As with all Nike Jordan products, they also look great. The straightforward style is complemented by the Jordan logo on the bottom of the left leg, giving them a simple but stylish appearance. The elastic waistband further ensures comfort, and they will fit snugly around your waist without ever slipping, as is the case with some lower quality shorts. Of course, a high quality product from such a reputable brand invariably carries a heftier price tag, but these shorts will last you a long time, and are well and truly worth the extra money. Under Armour Men’s Mo’ Money Shorts Review: Under Armour is the first sports apparel brand to challenge Nike for many decades, as they continue to put out high quality basketball products. One of their greatest successes from a marketing perspective was sponsoring Steph Curry when he was just 25 years of age, and far from the player he is today. It’s no surprise that basketball is a major focus for the brand, and the Mo’ Money shorts are one of their best products. These 100% polyester shorts are made out of a textured knit fabric that is tough, but breathable, and have mesh side panels, which provide added ventilation. Like the Jordan shorts, these dry quickly due to a Moisture Transport System, which is advertised as helping to wick sweat away. An elastic waistband and draw cord enables you to keep the shorts tight around your waist, while retaining a loose feel around your upper legs. Some users complained that the shorts are too long, but for many ballers, this is preferable. Their high quality and extra length makes these the best extra long basketball shorts available. Nike Men’s Layup Basketball Shorts Review: Yet another Nike product, and yet another high quality one. These are a great in-between option – they aren’t as expensive as many other options by brands like Nike and Under Armour, but they are still a great pair of shorts and should last a long time. These are polyester shorts, with an elastic waistband and interior draw cord to enable you to adjust the tightness of your waistband. If you’ve had a big meal just prior to wearing them, never fear, as the elastic can be adjusted to suit your needs. It also has side pockets, providing you with an ability to carry your phone, wallet and keys around without stress – often this isn’t the case with basketball shorts. Their appearance is simple, but with the iconic Nike swoosh on the left leg, everyone will know that you mean business. These shorts are generally very durable, meaning you will get great value for money when purchasing them. Champion Men’s Crossover Basketball Shorts Review: These are the cheapest item on this list, but they provide great value for money. Champion doesn’t exactly have the reputation of a company like Nike, but they are a good sports apparel brand who have been around for a long time. One result of decades of expertise is this pair of simple and cheap basketball shorts, which are significantly better than some of the more expensive pairs on the market. These shorts have all that you need; they have the drawstring to adjust your waistband, side pockets, and a stylish appearance. They are also machine-washable, and made of 100% iridescent polyester. The Champion Crossover Basketball Shorts may not have some of the technology present in the more expensive shorts, such as the Moisture Transport System in the Mo’ Money shorts, but for the price they are listed at they are a more than reasonable purchase. There have been some complaints about their durability, but generally users are happy with the amount of use they get out of this product. Nike Women’s 10” Dry Essential Basketball Shorts Review: Unfortunately, women are often subjected to a much lengthier search process when looking for optimal basketball shorts. Lots of styles are listed as ‘men’s basketball shorts’, although these can still be used by women, they are often the wrong fit. Nike’s Women’s 10” Dry Essential Basketball Shorts are the best basketball shorts for women on the market. They utilize Nike’s Dri-FIT technology to keep the shorts, and your legs, nice and dry, even in the presence of significant sweat. They are loose, but fit securely around your waist due to the elastic waistband and interior draw cord, meaning you won’t have any problems with slippage when using these shorts. They also have mesh side panels, providing your upper legs with extra ventilation, and side pockets to keep your valuables – after all, you won’t only wear these shorts while balling out. Like a lot of Nike products they have a fairly simple appearance, punctuating the Nike swoosh, which is located about halfway down the legs in these shorts. Overall, a great product and a worthy purchase. Point 3 DRYV Baller 2.0 Men’s Dry Hand Zone Basketball Shorts Review: Though they are not from a hugely well known brand, these are a terrific buy. A major point of difference added by Point 3 is the DRYV Dry Hand Zone, which is present down each side of these shorts. These ‘hip panels’ act like a towel, absorbing all the moisture created by your legs during an end-to-end game of ball. So effective are these panels, you can wipe your hand on them during a game to keep your hands and fingers dry. It’s as though you were literally carrying a towel around while you played, and will enable you to keep pulling off all your fancy moves without having to worry about sweaty, sticky hands influencing your ability to replicate Kyrie Irving at the rim. They have a number of other ventilated zones to keep you cool and dry, and have extra deep pockets – you could almost fit a whole basketball into these! These shorts are also available in 14 different color combinations, meaning you’re sure to find a style you dig. And you know what they say – look good, play good. NIKE Boy’s Dry Basketball Shorts Review: The best basketball shorts for kids is, unsurprisingly, made by NIKE. These are synthetic shorts, meaning they won’t cost you an arm and a leg, but still provide great comfort and performance for your child. As with most of their shorts, Nike have incorporated their Dri-FIT technology to keep your kid dry and comfortable during the game. This is particularly important for kids, who generally haven’t learnt to conserve their energy just yet, and tend to play until they are literally exhausted. The Dri-FIT technology will mean they won’t have the added problem of excessive sweating and discomfort, which invariably results in a lot of complaining, and probably another new set of shorts. These shorts are lightweight, and have mesh material on both the inseam and the lower back to provide extra ventilation. Very few users reported any problems with these shorts. 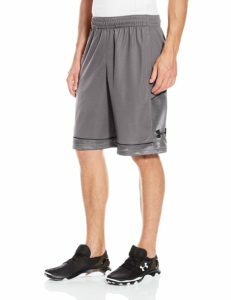 Under Armour Men’s Baseline Basketball Shorts Review: Another product by a high quality brand, these shorts are built to last. They are advertised as being made entirely out of ‘Other Fibers’ – exactly which fibers this means they have used to create these shorts is unclear, but whatever it is, it works. The fabric is tough, meaning it lasts for more flat-out sessions than most shorts, while remaining breathable. It is made with Under Armour’s Moisture Transport System, ensuring it wicks sweat and dries fast, and fits comfortably thanks to the elastic waistband and internal draw cord. On top of this, it has mesh pockets for your belongings, and comes in a huge range of colors. As you may have gathered by now, this product covers all bases, and comes in very cheap as well. Occasionally there are complaints about sizing, but if you do the adequate research you should have no troubles finding a pair to fit you. Nike Air Jordan Men’s Fly Elephant Basketball Shorts Review: Let’s finish with another pair of shorts from Nike’s Jordan range. These shorts are synthetic and durable, not that you would expect anything less from the Nike brand. The name suggests these shorts are fly, and it isn’t lying. These are some of the coolest basketball shorts out there. Coming with a base of green, teal or purple, the shorts have a triangular panel of a different color on the bottom section of each side, with the iconic Jordan logo sitting smack bang in the middle of it. This puts a lot of emphasis on the logo, meaning everyone will recognize that your shorts are the best of the best. The stylish appearance may not be the number one factor on everyone’s list, but wearing these shorts is sure to build your confidence, and can legitimately have an impact on your game. Plus, they are a great pair of shorts independent of appearance, and will last you a long time. Adidas Men’s Essentials 3-Stripe Shorts Review: Normally, one can expect to get pretty high quality products out of a brand like Adidas, but these basketball shorts fail to provide that. They are made of a different material to most basketball shorts, which could be a benefit if they were of high quality, as it would allow them to be used in a wider variety of situations. Unfortunately, they have a tendency to fall apart relatively quickly, meaning they aren’t great value for money. Many users complained that they began to fray and develop tears after very little use and just a couple of spins in the washing machine. The fabric is particularly thin, and while this does make them lightweight, it also appears to contribute to the shorts’ frailty. They are not extremely expensive, but they are also far from the cheapest basketball shorts on the market, and considering they don’t appear likely to last for a very long time, this isn’t a great value item. ChoiceApparel Mens Basketball Shorts with Pockets Review: There are a few redeeming features about this pair of shorts, namely the array of colors they are available in, but they fall a little short in a few other categories. Firstly, they literally fall a little short in sizing. Many customers complain that the shorts are significantly smaller than advertised, and often don’t fit properly. There are also questions about their durability, as they have a tendency to unravel towards the top. These shorts do, at least, not cost a whole lot of money, however with concerns about their durability it is probably not worth purchasing the, – in the long run, it may cost you just as much as a high quality pair of Nike or Under Armour shorts. The sizing is an issue, which can be resolved with an exchange, though there are suggestions, that even when these shorts are the correct size they do not sit comfortably. Given their price, purchasing this product may not fill you with regret, but there do appear to be a few too many problems to waste your time with these. Nike Men’s HBR Shorts Review: In what is a relatively rare occurrence, Nike missed the mark a little when creating these shorts. Largely, the problems are superficial, though comfort is also a problem. The shorts are significantly shorter than most other Nike basketball shorts, and indeed basketball shorts in general, sitting well above the knee. This may suit some people who prefer a bit less material, but for most people they will feel more like running shorts than basketball shorts. Though it may not worry everyone, this also has an impact on the appearance of this product – the ‘performance cut’ created by Nike at times resembles the NBA shorts of yesteryear, meaning they appear a little outdated. They also boast an oversized Nike swoosh in the same location where most Nike shorts have a small swoosh. This is a matter of personal preference, but many users noted that it looks substantially worse than the appearance of the normal Nike basketball shorts. Given they are from the best sports apparel brand in the world, these invariably carry a fairly hefty price tag. While there may be plenty of worse options out there, considering the price tag and the problems associated with these, it’s unlikely that these are the best choice for anyone. As with any investment, it’s important to know exactly what you’re looking for before making a purchase. There are a number of factors, which are key to whether or not your basketball shorts turn out to be a good buy, including comfort, durability, and price. These are outlined in greater detail below. Comfort: This is perhaps the single most important factor which you need to consider prior to your purchase. These shorts are going to be with you for extended periods of hard work, and as a result it’s vital that you feel comfortable in them. Uncomfortable shorts can cause excess sweating, chafing, and generally distract you from your game. In contrast, a comfy pair of shorts enables you to focus purely on embarrassing your opponents. Comfortable shorts are shorts which you don’t notice while you’re playing, so when trying out your options, look for a pair that you feel like you won’t think about when you’re running around in them. Additionally, finding a pair of the best compression shorts for basketball will ensure additional comfort under your favorite bball shorts. Durability: This point is important for any piece of sporting apparel, and is one of the sole determinant’s in whether a pair of basketball shorts is worth your time or not. Basketball shorts are subjected to significant duress; you’ll be moving quickly while wearing them, changing directions, and sweating. On top of this, if they’re a pair you like you’ll probably be wearing them a lot. As a result, it’s important to do the necessary research prior to your purchase to ensure your new pair of shorts won’t be coming apart at the seams after a couple of high-intensity games. The most durable shorts often come from the best brands, though there are a few lesser-known organizations, which put out some solid products. Of course, the more durable shorts are generally the more expensive ones, which lead us to our next factor. Price: How much of a role this factor will play is, obviously, contingent on your budget. Many people are happy to spend as much as is necessary to get the pair of shorts they won’t, while others have a little bit less to work with. Regardless of your situation, it’s important to buy a pair, which will provide value for money. If they’re expensive, look good, and are comfortable, but fail to stand the test of time, there’s likely to be a better pair out there. However, as with all products, it is often the case that the most durable products are more expensive. It’s important to consider this if you’re working with a small budget. Maybe you only want to spend $30, but if you’re going to have to do this three or four times a year when your shorts invariably fall apart, perhaps it’s worth considering investing a little bit more to get a product which may be able to last you for many years. The answer to this is twofold. The first and most prominent of these reasons is that they generally use high quality materials, and the best of them incorporate innovative technology. For example, Nike’s Dri-FIT material and Under Armour’s Moisture Transport System keep the skin dry, but need to remain lightweight at the same time, so as not to weigh down the shorts. As a result, special materials are needed, which can be expensive. On top of this, the brands making them have a captive market. 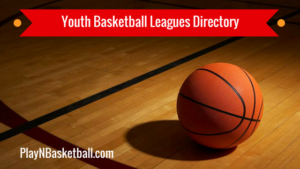 Basketball is a huge industry, and every man, woman and youth basketball player wants the latest and greatest gear. This means that they can charge a little higher and still make as many sales. Shorts are one of the most important pieces of equipment in the arsenal of a basketball player. It’s important to ensure you buy the most suitable product available, and putting in a little extra time to do the necessary research is advised. This guide to the best basketball shorts for men, women and kid ballers should provide some clarity on what to look for in some of the top options on the market, to make sure your shorts help your game as much as possible.